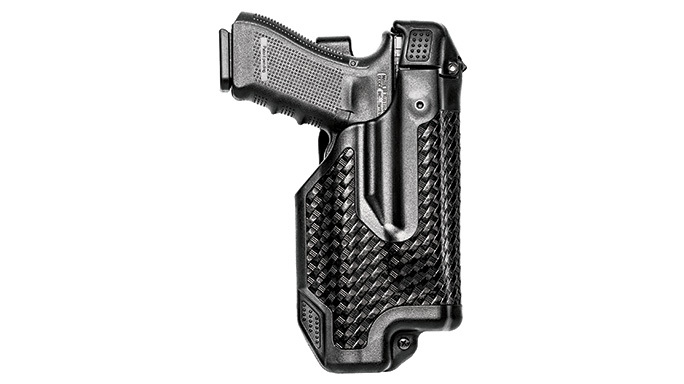 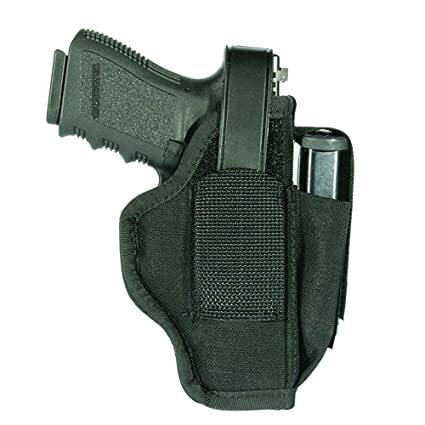 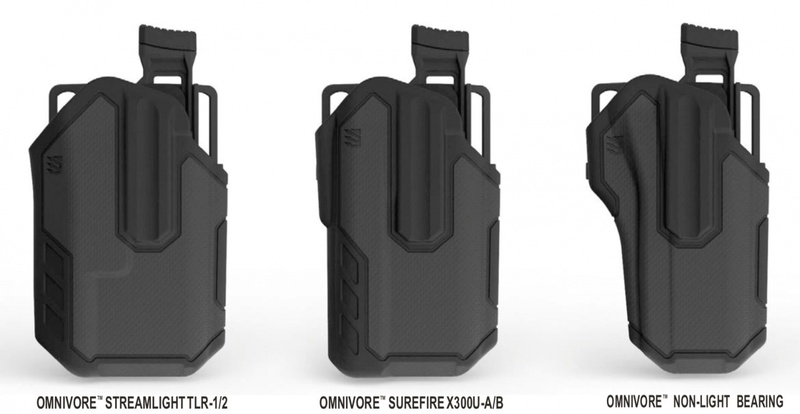 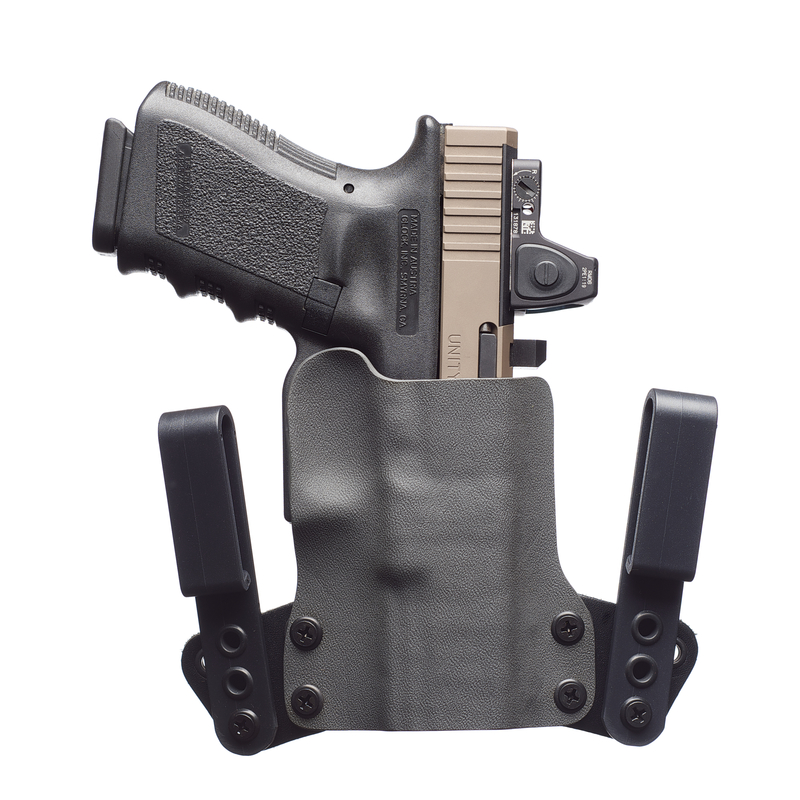 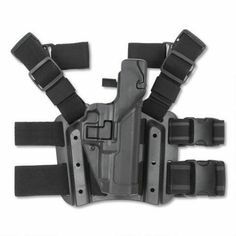 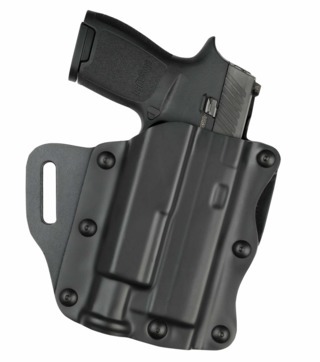 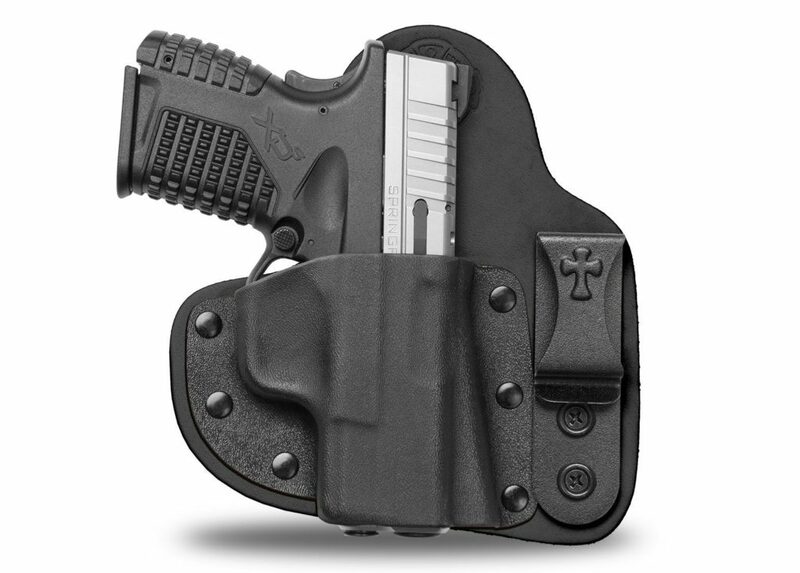 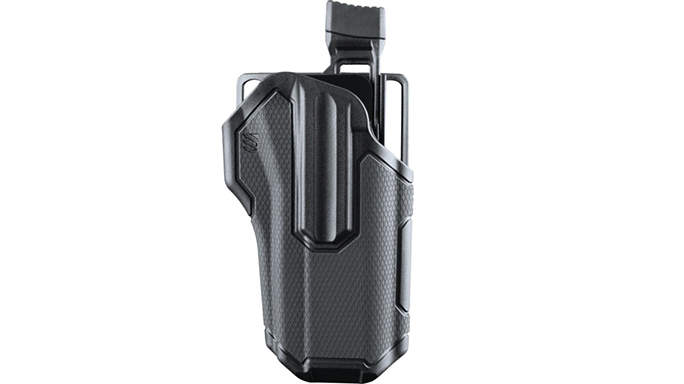 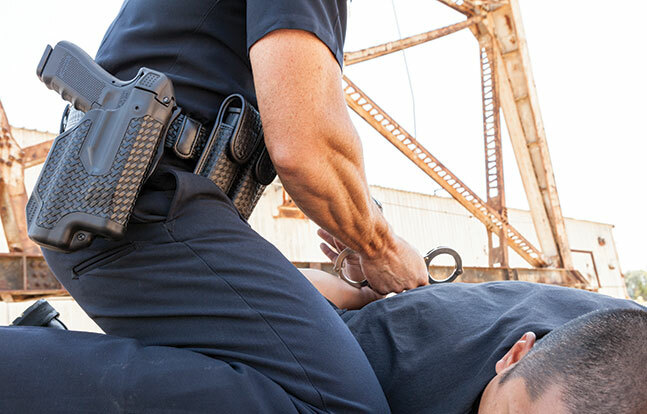 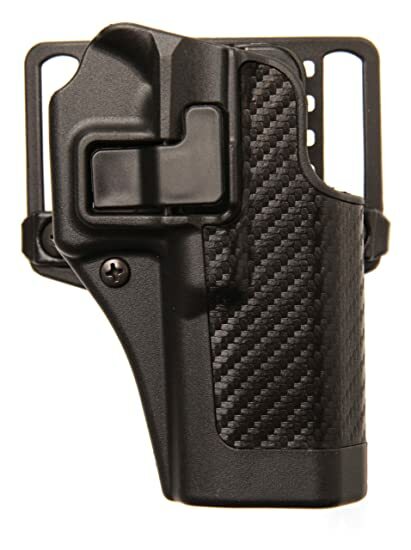 SERPA® Level 2 Duty Holster, featuring Auto-Lock™ technology - BLACKHAWK! 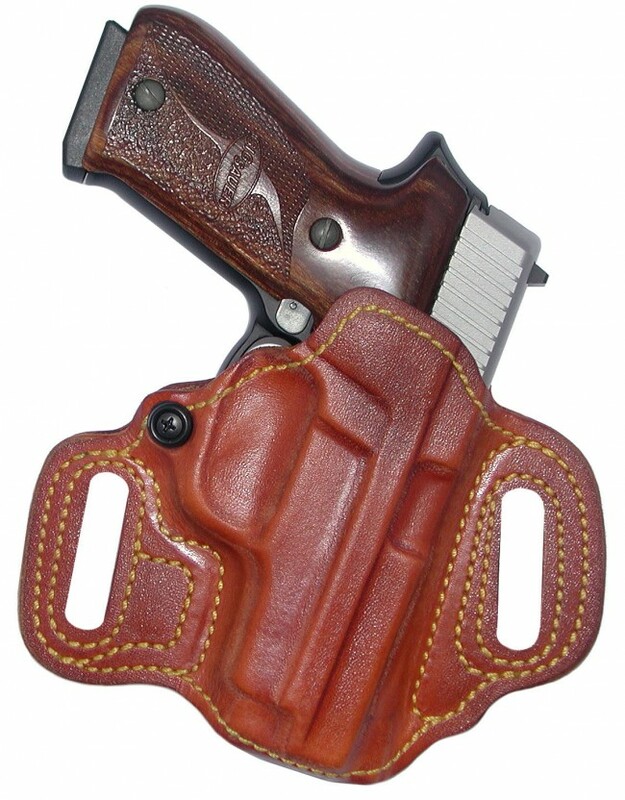 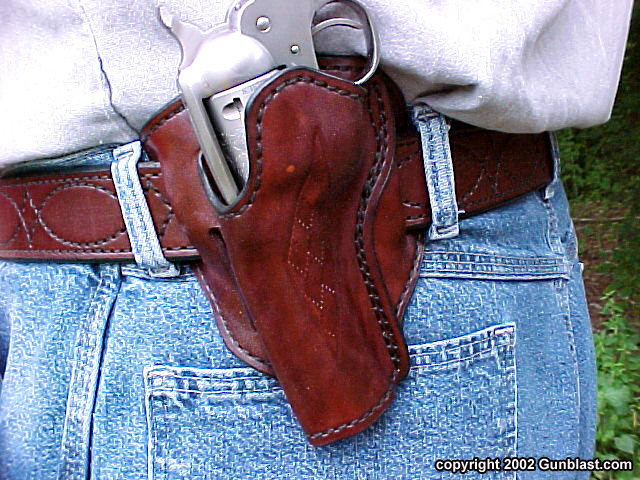 The SERPA is one of the more famous holster designs from Blackhawk. 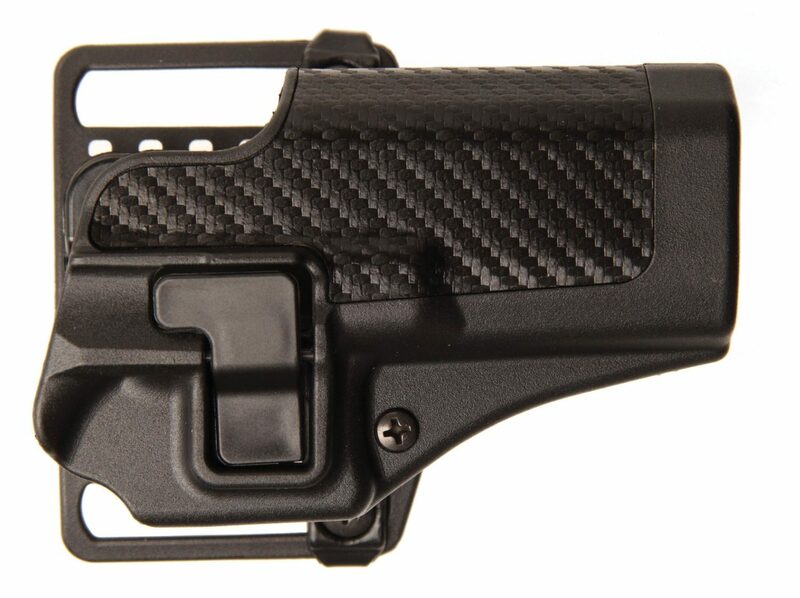 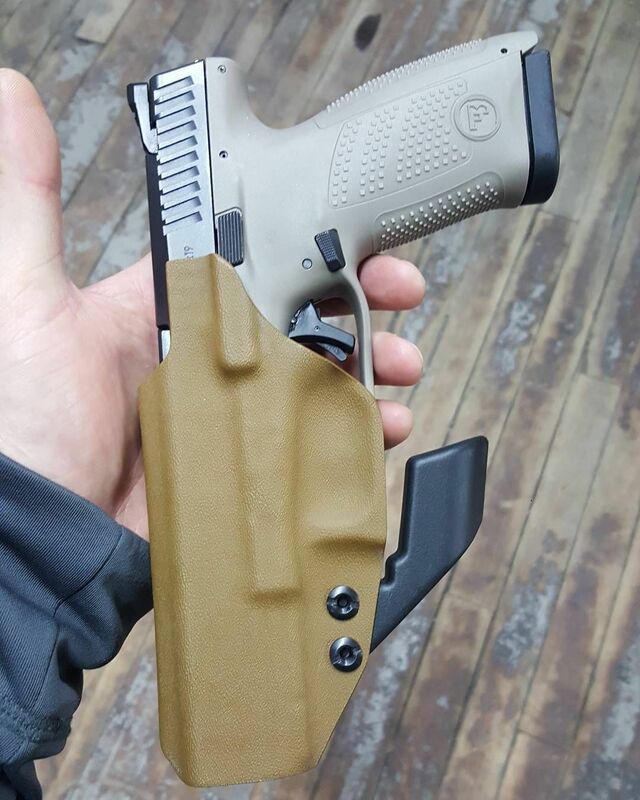 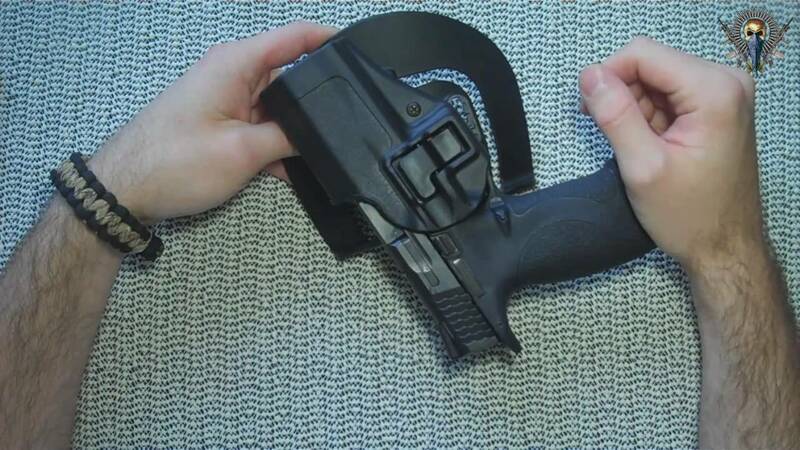 Fortunately, the company is now offering a fit for the G43 pistol. 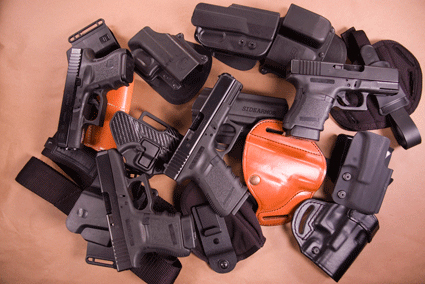 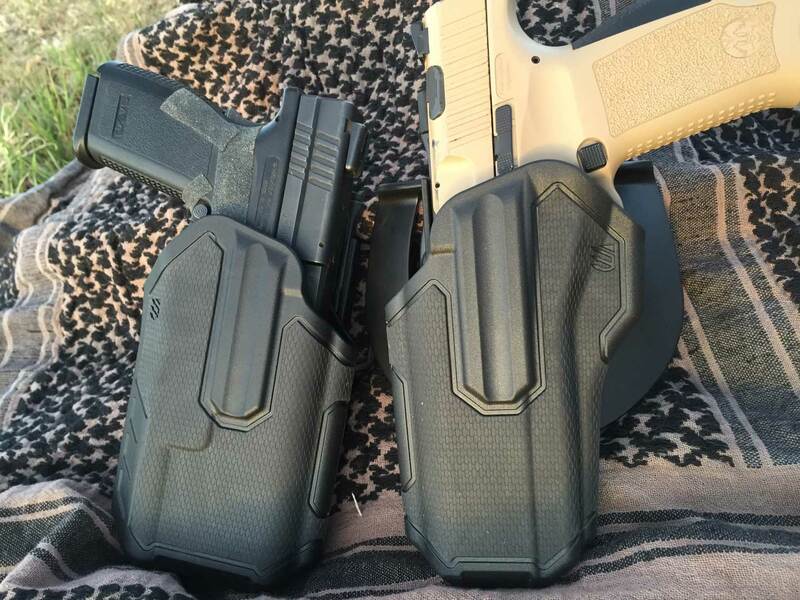 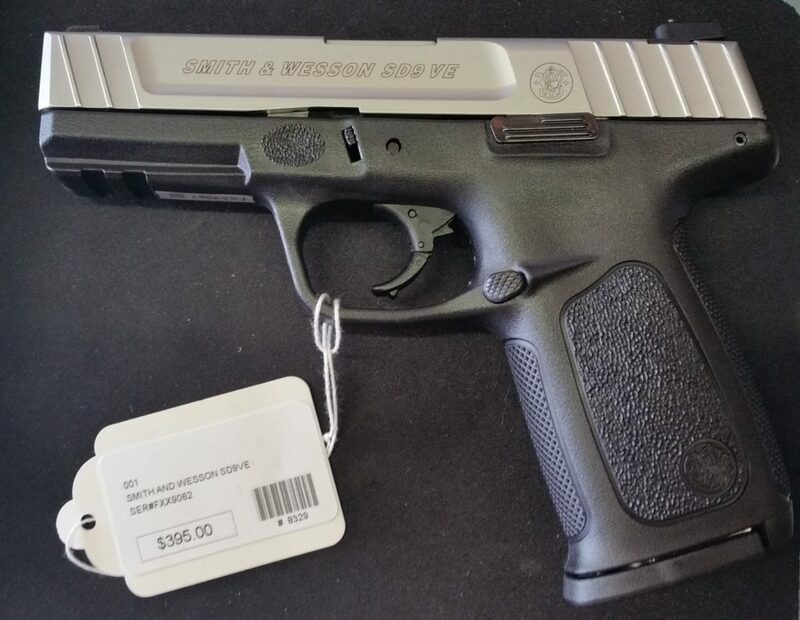 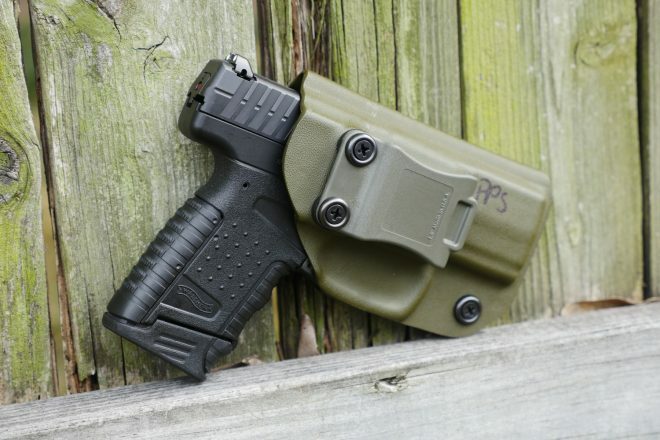 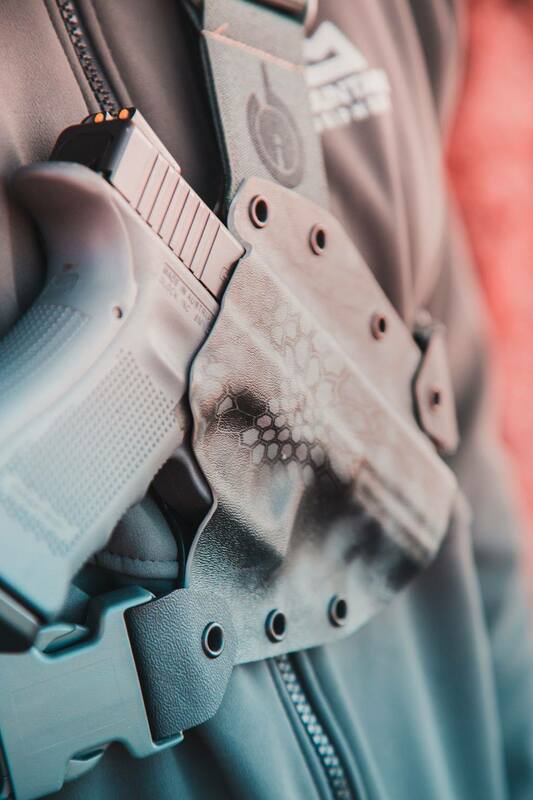 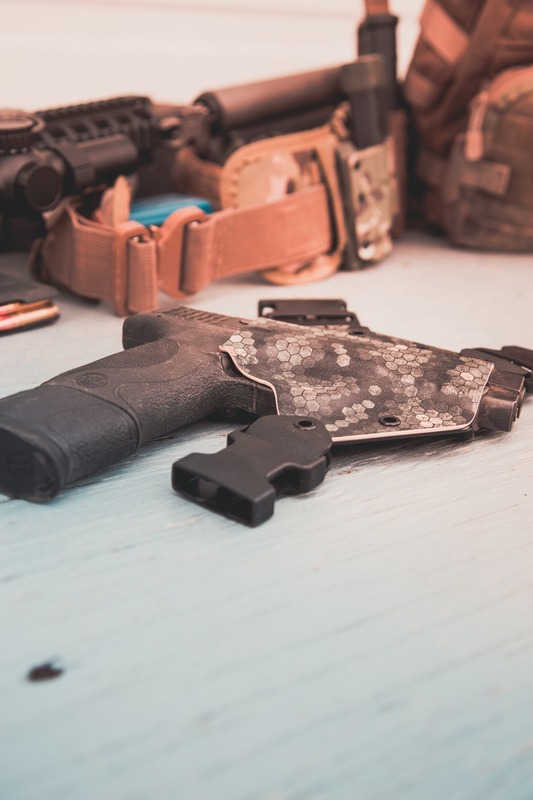 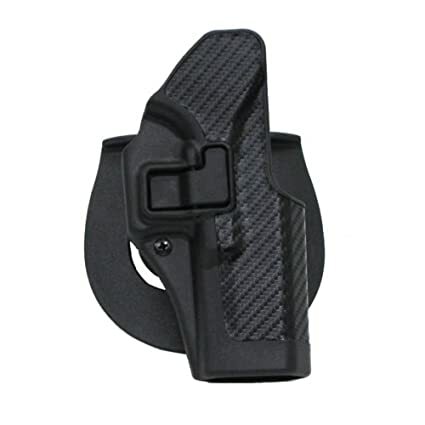 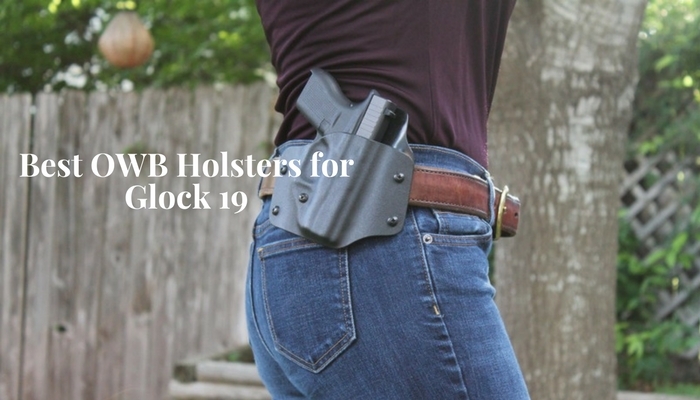 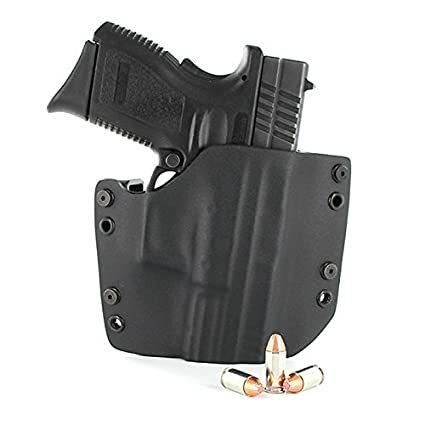 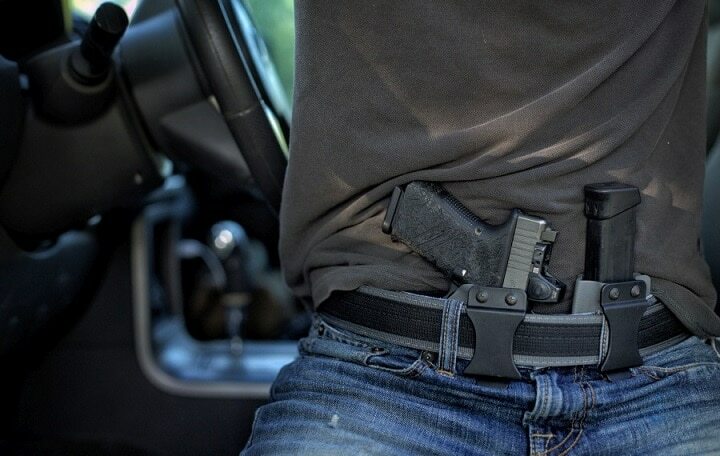 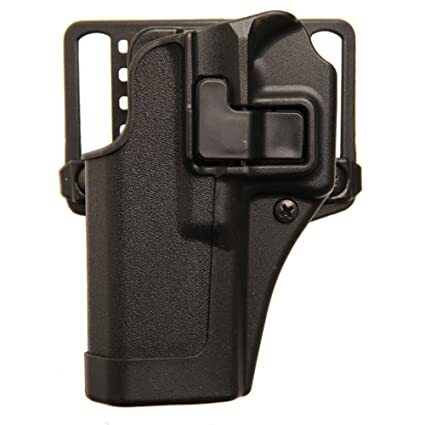 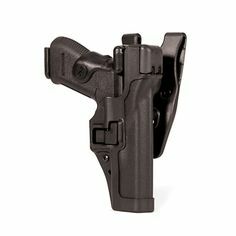 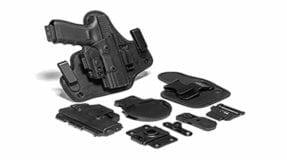 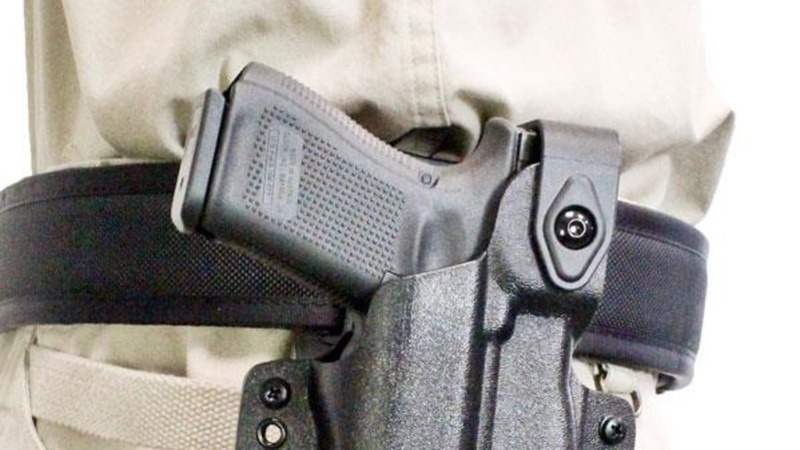 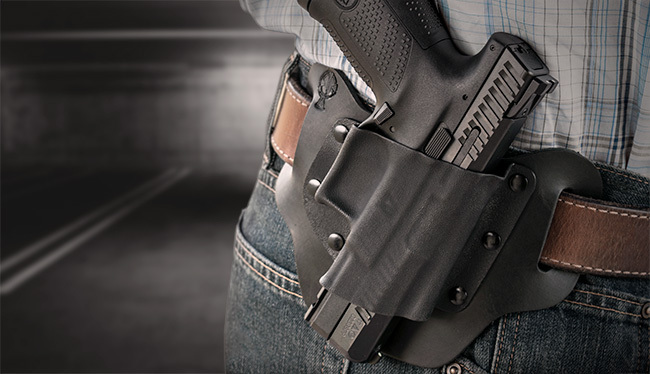 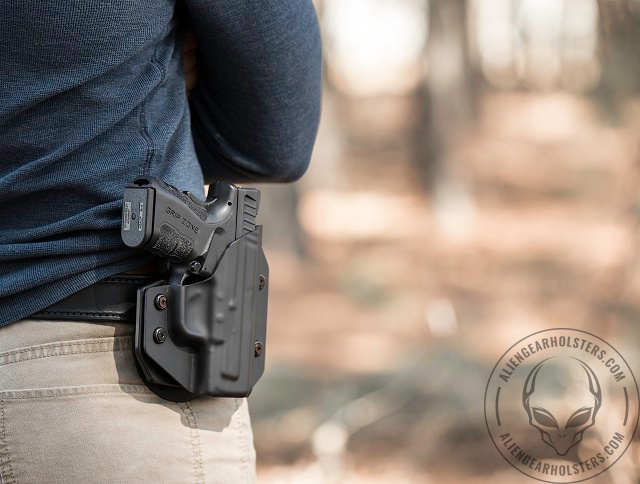 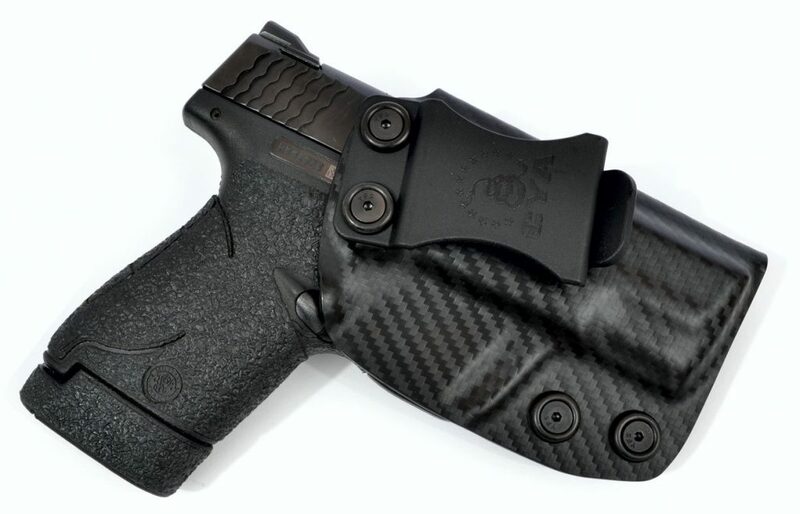 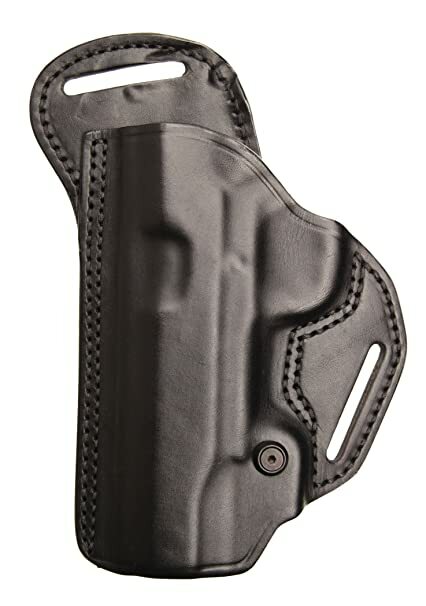 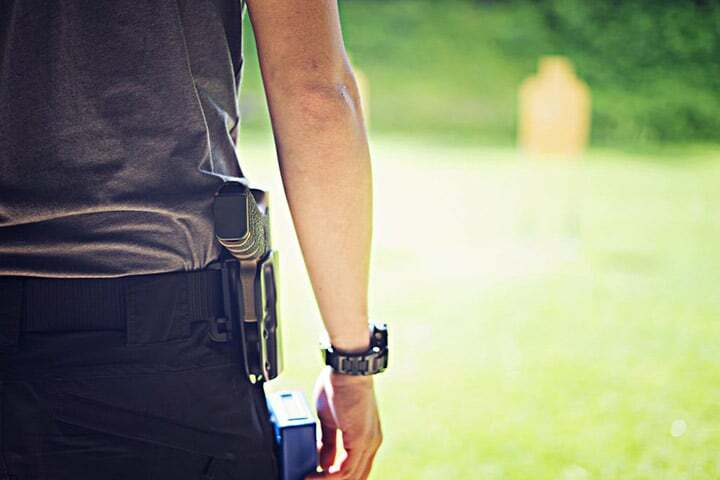 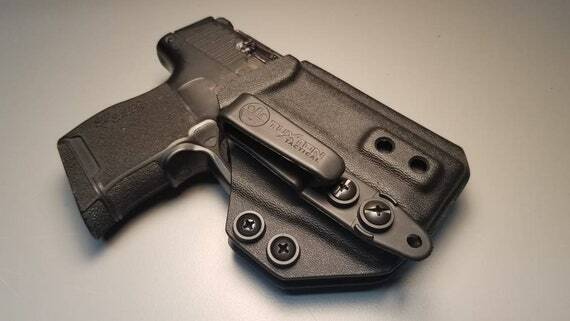 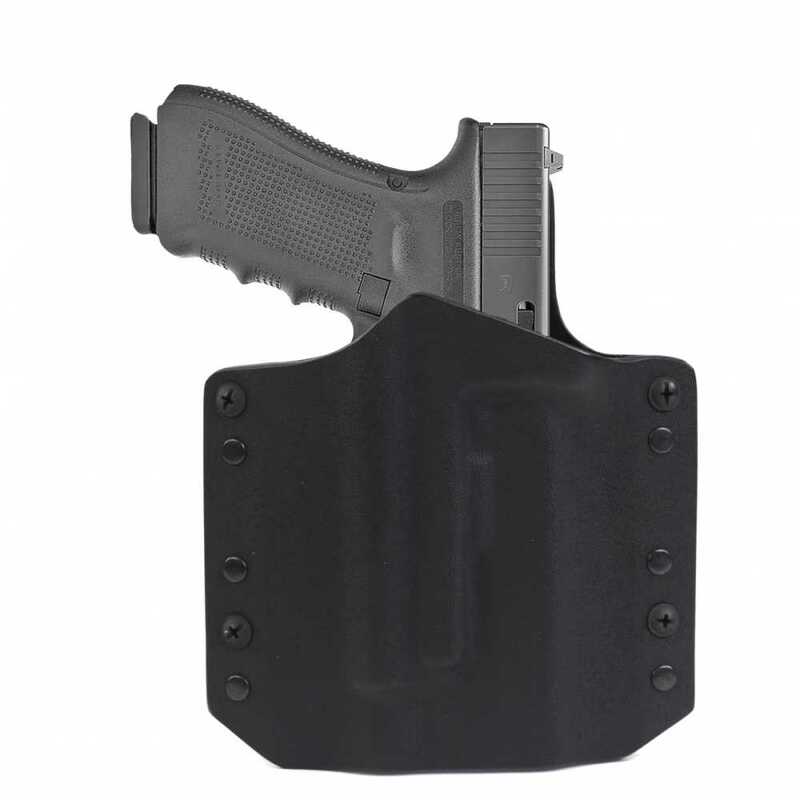 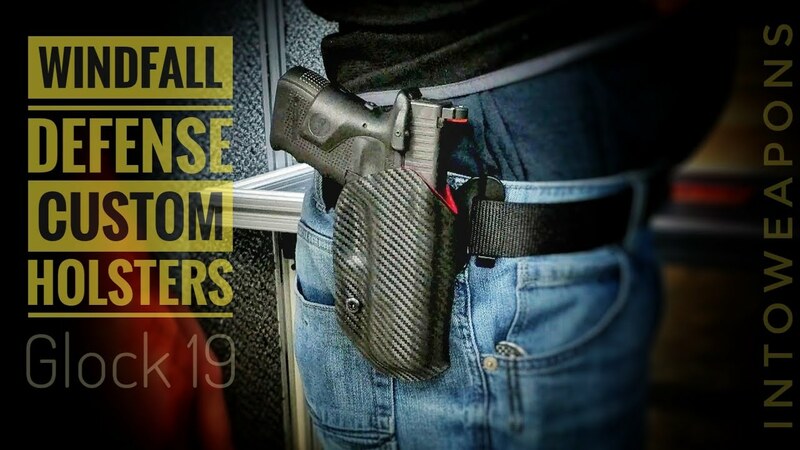 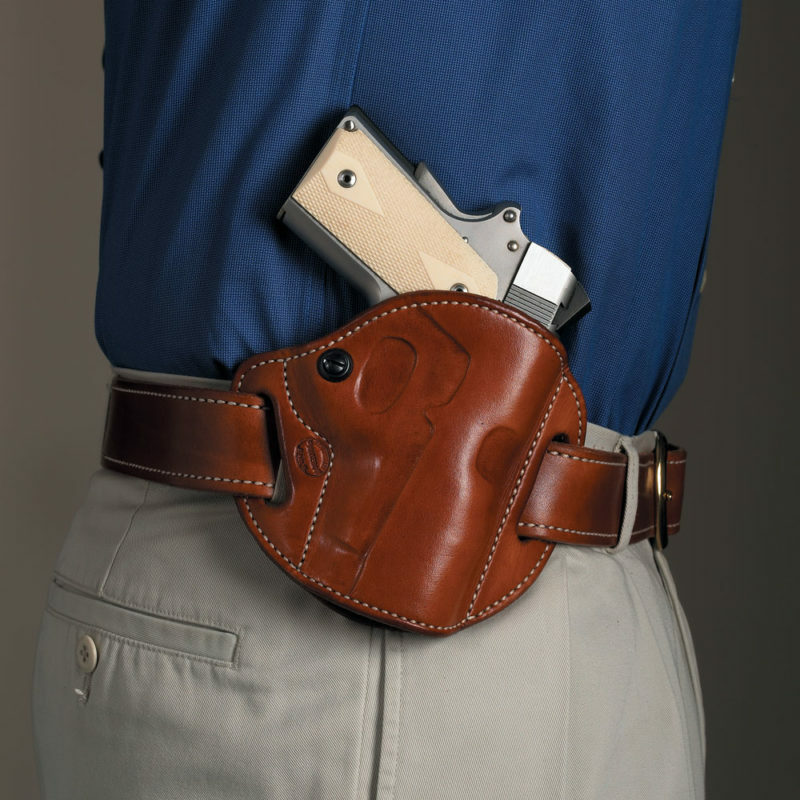 Today's concealed carry permit holder or off-duty cop has a wide selection of holsters that are designed to fit his or her specific pistol or revolver. 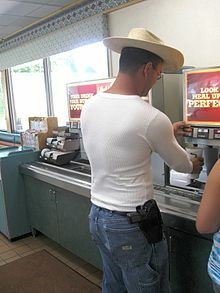 Pictured is a man openly carrying a 9mm Browning Hi Power handgun in a holster at a fast food restaurant in Eagle, Colorado.